Open to the Elements. A recent collaboration between architect Ryue Nishizawa and artist Rei Naito produced an elegantly curved open-air art museum. 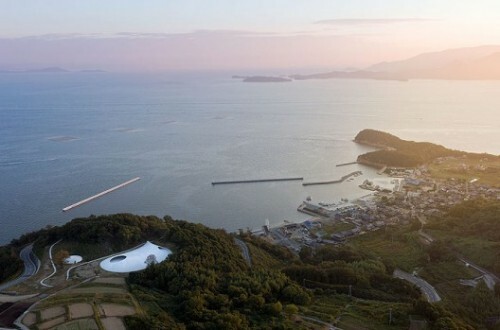 Located in Takamatsu, Japan, the Teshima Art Museum is built from concrete and gently mirrors the hilly topography it sits upon. More info at ArchDaily. Printed Organs. Three-dimensional printing sure is popular. We recently spotlighted the use of printing technology to create chocolates and solar cells, and now, 3D printing is crossing into the realm of medicine. The Wall Street Journal highlights technology that may soon enable printing of self-derived organs—think kidneys. While medical researchers have successfully “grown” organs through 3D printing, they are only structural and not yet functional, but scientists believe a breakthrough is nigh. Olfactory Aisles. In a strange effort to boost sales, Brooklyn supermarket chain, NetCost Market, is now infusing its store aisles with food scents, such as strawberry in the fruit section and smoky bacon in the meat section, according to PSFK. While scenting clothing stores and movie theaters has been commonplace for a little while now, NetCost’s “food perfume” is taking olfactory branding to the next level. Transport without Oil. The upcoming issue of Colors, a magazine published by clothing retailer, United Colors of Benetton, will center on transportation in a future without oil. Opening up submissions to the public, the Benetton website Colors Lab invited web users to upload artwork, photography, designs, and stories, envisioning new possibilities for transportation.